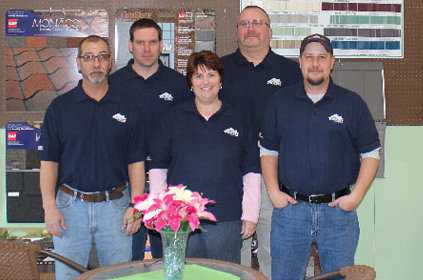 "Doing it right since 1972"
The Powell Company will beautify and remodel all phases of your home. They will satisfy all your remodeling needs whether it be new and efficient windows or doors, energy conservation improvements like insulation or high-R vinyl siding, remodeling your bathroom and kitchen or even building you a beautiful deck. Call or e-mail for a prompt and professional free consultation. The Powell Company has worked in partnership with many satisfied customers for over 40 years, assuring they get the strongest warranties on the highest quality products and service. That is the only way to get the best value for your home. Certified GAF Master Elite Roofing Certified Contractor....Certified by the largest roofing manufacturer in the world meeting or exceeding the highest industry standard. Only 3% of all contractors in the nation qualify for this elite standard. The Powell Company is in the top 3% roofing contractors in the world. Testing every year to maintain the Certified GAF Master Elirte Roofing Certified standard.